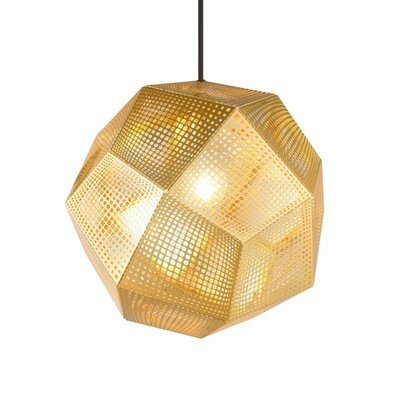 Tom Dixon Mini Copper shade. A pendant light made using copper, a material more commonly associated with solar cells and microwave radiation. 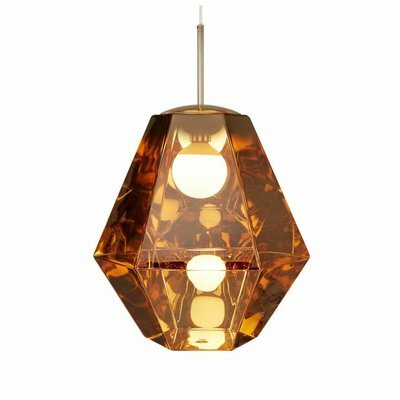 The Copper Shade is created by exploding a thin layer of pure metal onto the internal surface of a polycarbonate globe. The result is a highly reflective surface with a warm metallic glow. Also available in 45cm size, in a floor version and in a Bronze-Copper finish.